I loved the first season of FX’s Fargo. I loved the ominous tone, the twisted storytelling, and most of all, the many rich characters. Fargo Season 1 was chock-full of wonderfully specific characters. Every single character in Season 1 was dynamic, original, and useful either to the plot or the tone of the season. 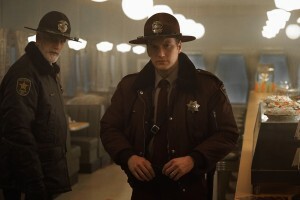 If there’s one thing missing from the second season of Fargo, it’s that elaborate web of Coen-Brothers-esque characters. This is readily apparent from the start of the second season premiere. (I’ve seen the first four episodes of the season, and can attest that this particular problem lasts at least that far.) This season’s story, and the inhabitants of its story, are simply less original and specific than that of Season 1. Fargo Season 2 is set in 1979. It focuses on Lou Solverson (Patrick Wilson), the father of last season’s hero Molly Solverson (Allison Tolman). Lou is a state trooper, based in Luverne, Minnesota, investigating a triple-homicide at a local diner. In so doing, he gets mixed up with the Gerhardt crime family, which is being led by matriarch Floyd (Jean Smart) ever since the death of her husband. 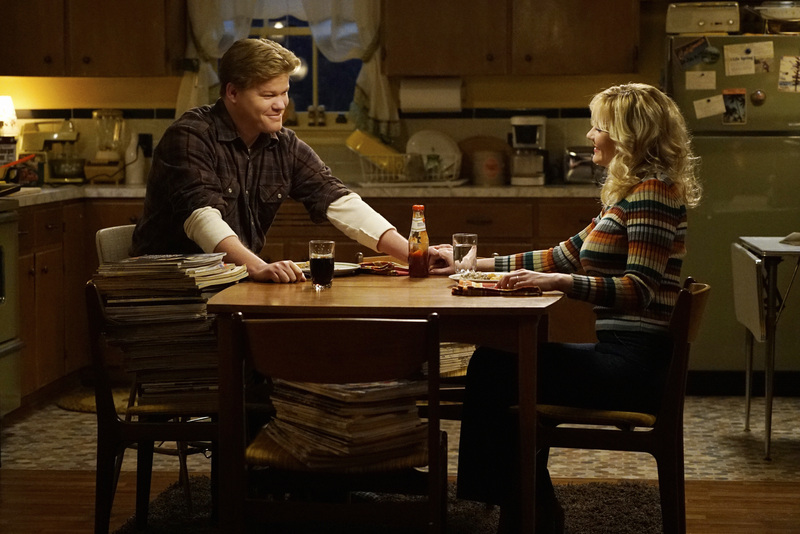 Also inadvertently mixed up with the Gerhardts are Ed and Peggy Blumquist (Kirsten Dunst and Jesse Plemons). Peggy works in a beauty salon and Ed is a butcher’s assistant. They live a peaceful existence until Peggy hits a Gerhardt son, Rye (Kieran Culkin) with her car, killing him, and flees the scene. She enlists Ed’s help to cover up the crime. Meanwhile, there are a whole bunch of internal politics at play in the Gerhardt family. Dodd (Jeffrey Donovan), the eldest son, believes that he, not his mom, should have taken the top spot in the organization. At the same time, the Gerhardts are becoming embroiled in a turf war with a crime syndicate led by Joe Bulo (Brad Garrett). Now while there are a few standouts in the large cast (specifically Donovan, Plemmons, Wilson, and Cristin Milioti as Lou’s wife Betsy) the overall ensemble cannot compare to Season 1’s. None of the primary characters reach the levels of greatness that were Lester Nygaard (Martin Freeman), Molly Solverson or Lorne Malvo (Billy Bob Thornton). None of the supporting cast members in Season 2 come close to Season 1’s outstanding list of character actors including Bob Odenkirk, Keith Carradine, Oliver Platt, Key and Peele, Adam Goldberg, et al. Now – this was a distraction for me, and a disappointment, as I was really looking forward to a new onslaught of crazy characters this season. Nevertheless, and nothing I’ve said should be construed to imply that this is not the case, Fargo Season 2 is pretty great right from the start. While it is slightly more generic than Season 1, and less surprising, Season 2 thus far is a lot of fun. The premiere sets up a slightly different tone than Season 1 – less dour, more darkly comic. It utilizes some visually arresting editing techniques and a bouncy retro soundtrack to great effect. And I did mention some standout characters and performances – my favorite is Jesse Plemons as Ed. I’ve been a fan of Plemons’s for a while now, and this is a slightly different role for him. Ed’s an interesting character, similar to last season’s Lester, only less easily cowed into doing awful things. And dumber. I’m hoping he has a happier ending than Lester did . Jeffrey Donovan is fantastic as Dodd Gerhardt. He’s a real bad guy, awful to everyone around him, including his mother, daughter, and siblings. Donovan is giving one of the more heavily-stylized performances here, one that brings to mind a couple of Season 1’s. It pays off, and I spent a great deal of the premiere just wishing for more Dodd. Patrick Wilson is giving a subtle performance – less stylized even than Tolman’s last season. He’s reasonably good here, just dynamic enough to lead a show with an ensemble this large. Like last season, the cinematography on this show is up there with the best work on contemporary TV. The premiere’s big setpiece, a shootout in a diner, is magnificently assembled. It’s incredibly suspenseful and tragic – the result of many terrific, unexpected editing choices and a couple great cameo performances (the unfortunate, innocent victims of the shooter). I particularly appreciate that this season is very different from last season not only because it’s a new story, but because it has a whole new look and feel to it. Unlike the second season of True Detective, for example, Fargo Season 2 retains much of what made the first season great (keeping in mind my earlier criticism) as well as successfully creating the look and feel of a whole new show.